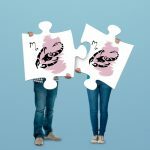 A couple formed by Scorpio and Scorpio has very good levels of compatibility. However, before checking the compatibility, learn a bit more about each of these signs. This sign is represented by the element of water, and a couple formed by this element is characterized by a passionate sexual attraction. Scorpio is one of the strongest signs of the zodiac, but the temperature may not always be high. These signs can become very similar in some respects, but sometimes the partners might not understand each other. A couple formed by two partners of signs represented by water is able to achieve great emotional power, which greatly benefits their relationship. Scorpio and Scorpio: how will the relationship work? The combination that exists in a couple of people with this particular sign can be quite beneficial, but considering that both signs are fixed, the biggest challenge is when the individual desires of each of the partners get in conflict. In this sense, if they can match something, it would be excellent, and if not, each of them begins to prepare not to waste their time. Besides that, if one or both partners have Mars active, then they will be prepared to use the most poisonous techniques on their behalf. Scorpio is considered a demanding, as well as jealous sign, which means that any small storm could soon become a hurricane. Most natives prefer to destroy the whole city before letting another person rule it. However, while both are afraid of commitment, they need to make some concessions in their love relationship. In this sense, both must strive to remain as a team, since there is no more formidable opponent than the Scorpio himself. The true value between two Scorpio persons is the potential for spiritual growth and personal development. Scorpio natives are characterized as loyal and they are very focused, although they need to resolve their internal confusion. In this sense, Scorpio and Scorpio are attracted to each other, so the best thing to do is to use this somewhat destructive relationship to start moving away from the perspective the minor issues that could cause problems in the relationship. You need to start seeing the bigger picture and try to see what the both of you as a couple could achieve together. This combination may become problematic, although it may work at a higher level when the Moon signs or other factors are complementary. This is the recipe for a complete review of the two personalities. In the sexual area, these natives will indulge in intimacy full of energy and passion. Scorpio natives should try not to be possessive of each other so they do not drown in the relationship and enjoy all that the intimate life has to give them both.